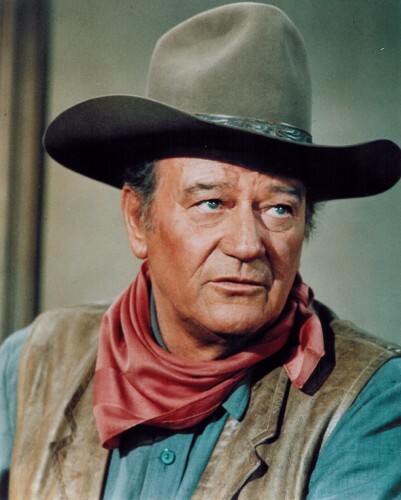 By Cristina SilvaAn effort to declare May 26 John Wayne Day in California was defeated in the Assembly Thursday after lawmakers denounced the international movie icon as a racist. Several members said the state shouldn't honor the film star famous for his roles in Hollywood Westerns and war movies because he made racist comments about minority groups and supported the anti-Communist House Un-American Activities Committee and John Birch Society.Comment: For more on John Wayne, see America Changed with Davy Crockett and "I Thought John Wayne Killed You All." Following up on the decision to put Harriet Tubman on the $20 bill, former senator Jim Webb tried to defend Andrew Jackson. Webb's claim:Robert Remini, Jackson’s most prominent biographer, wrote that his intent was to end the increasingly bloody Indian Wars and to protect the Indians from certain annihilation at the hands of an ever-expanding frontier population.The reality:As for Jackson’s alleged desire to protect the Indians from clashes with whites, it should not be forgotten that the forcible cession of millions of acres of Indian land was one of Jackson’s claims to fame. 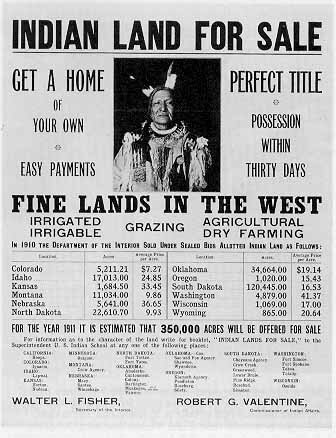 He did it to make space for white settlers throughout the South and for his personal profit in the real estate boom that followed the Indians’ ceding of land at gunpoint. Indians who had allied themselves with Jackson in the so-called Red Stick Creek War were much praised by him, but when they later sought government payment for losses incurred in their support of Jackson, he told the secretary of war that their claims were a “complete tissue of groundless falsehood.”Comment: Give Webb a Stereotype of the Month nomination for his ignorance of the definition of genocide, and for minimizing Jackson's genocidal actions. Removing the Indians was about stealing their land and eliminating them, not keeping them from harm. By Simon Moya-SmithA Republican in Oklahoma who made headlines last week when he said Native Americans are "predisposed to alcoholism" emphatically apologized Monday, and said his statement was based on "outdated information." House Representative Todd Russ made the controversial comment on April 21 during a debate on a proposed expansion of liquor and strong beer sales at grocery and convenience stores in the state. In an email to ICTMN on Monday, Rep. Russ recalled a torrent of pain and loss alcoholism has caused his family, and as consequence of that he said, "I let my emotions cloud my thoughts and words." The news that the US would place Harriet Tubman on the front of the $20 bill and move Andrew Jackson to the back triggered a variety of responses. Trump on Tubman: "pure political correctness." 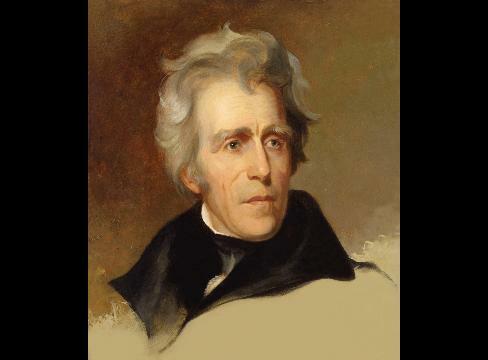 Trump on Jackson: "tremendous success." Andrew Jackson was a slaver, ethnic cleanser, and tyrant. He deserves no place on our money. For more on the subject, see Stanford Cancels Bloody Jackson Play and Indians on US Bank Notes. Coquille Tribe slams 'Lewis and Clark' campaign for Oregon LotteryThe Coquille Tribe is calling on the Oregon Lottery to stop running a Lewis and Clark-themed advertising campaign. The spots depict explorers Lewis and Clark, and even an animated bear, "discovering" gaming machines in the wild. 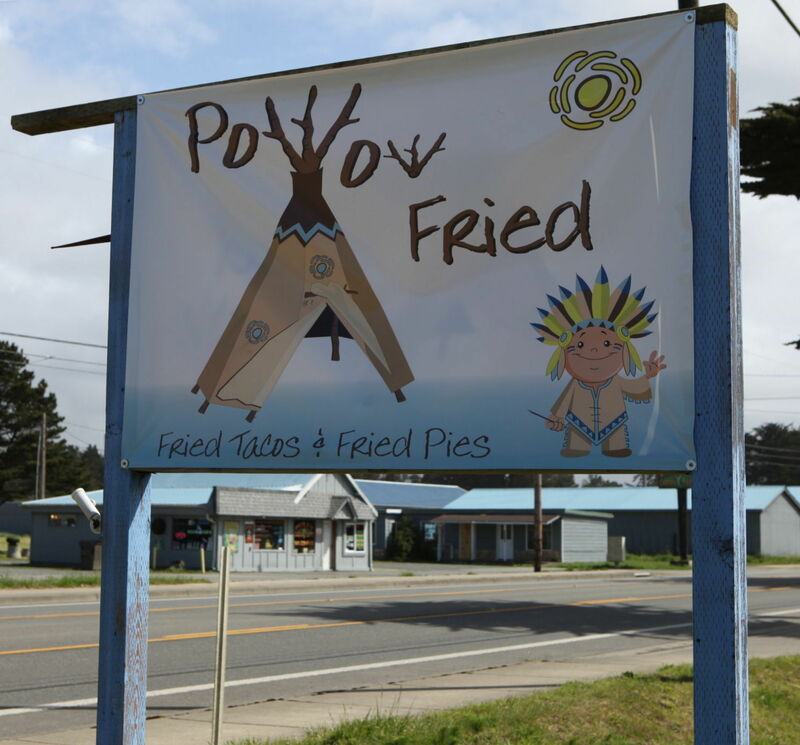 Chairwoman Brenda Meade said the ads falsely portray Oregon as a place devoid of tribal people. Lewis and Clark discovered—video gambling? Kimmy Schmidt Asks: How Are the 'Redskins' Still a Thing? Why does Unbreakable Kimmy Schmidt keep choosing race as a hill to die on? For more on The Unbreakable Kimmy Schmidt, see Racial Stereotypes in Unbreakable Kimmy Schmidt and Jane Krakowski in The Unbreakable Kimmy Schmidt. A Facebook friend reported on the episode, which I didn't see:I saw that episode. Too bad I was only playing from home. None of the questions were terribly difficult. I don't remember the exact phrasing of the questions, but I do recall the answers. One referred to the Trail of Tears (answer: the Cherokee); one referred to the largest US tribe (Navajo); another referred to a eyewitness to an 1876 event (I don't remember if they referred to it as a battle, or more properly as a massacre, but in any case it was Little Bighorn); one referred to and described the equipment used in Native stickball--so I sat there saying stickball, but the answer turned out to be "lacrosse" which annoyed me a bit; and finally a passage from Longfellow's poem, and the answer was Hiawatha.Good to know. The questions aren't tough for the smart contestants the show usually has. What it shows is a sort of public fear: of looking ignorant about a minority. Or worse, of saying something stupid and looking racist. Better to avoid the category altogether. P.S. Little Bighorn was only a massacre for Custer's troops after they foolishly attacked a camp of 10,000 Indians. Unlike Wounded Knee or Sand Creek, it was a real battle. 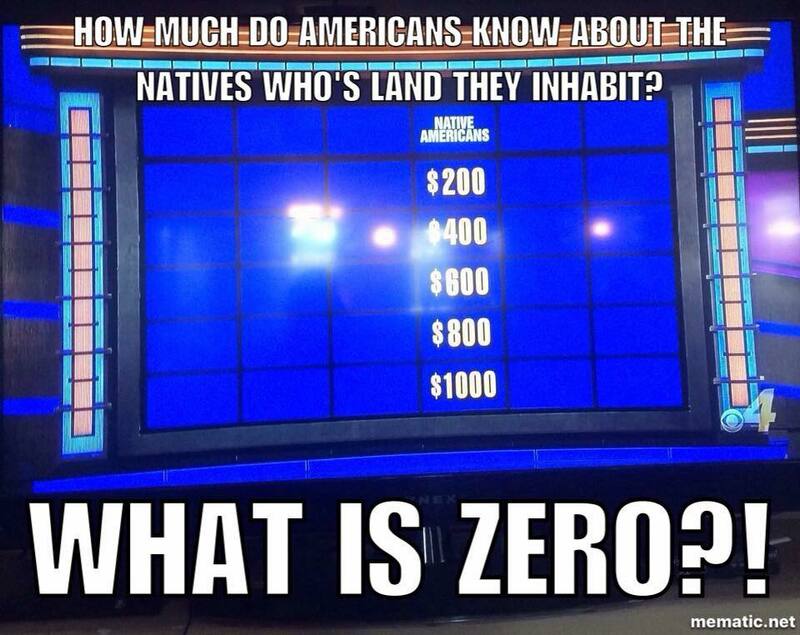 For more on the subject, see "Native American Foods" on Jeopardy and "Native American Tribes" on Jeopardy. Activist Walter Ruiz added this note on Facebook:UPDATE ON THE RALPHIE MAY ISSUE...i just got this email from Ralphie Mays publicist! i really hope they keep their word...Thank you for taking the time to speak with me today. As I said on the phone, comedian Ralphie May will be announcing tomorrow that he is postponing his shows in Fargo, Sioux Falls, and Minneapolis this week. Details are still being worked out with Ralphie’s travel, but please let me know if you would be able to speak with him by phone if an in-person meeting is not possible. Ralphie wants to do whatever he can to make this right. His beliefs and opinions are not portrayed in that video and as his publicist and friend for 20 years, I can promise you that Ralphie is not a racist person and he truly does have a heart of gold. Whitney: In defense of Ralphie MayIt’s pretty obvious that May missed the mark with his decade-old “Dances with Wolves” routine. It wasn’t funny or insightful. It was a mean-spirited assault on a culture that has been discarded and disregarded too often by mainstream society. By all accounts, it is no longer part of his act. I'm waiting to hear the context that makes this acceptable. Sounds like he adds a coda at the end of his rants. Maybe something like, "But really, folks, hating people is bad. Don't be like the people who say these things." That's not nearly enough "context" to make the previous rants okay. You can't have a stereotype-to-explanation ratio of 5-1 or 10-1. If anything, it should be the other way around. You can repeat a stereotype if you spend enough time explaining why it's wrong.That is basically what he is saying on twitter, he is saying that the entire joke is him imitating racist people who were mad about goodfellas losing to dances. I have seen his act before, and i can actually accept this because blatant racism isn't usually part of his act. However, he still needs to own those other comments that are just as ignorant.Okay. Sounds a lot like hipster racism to me. Like, "Someone else is racist, and I'm just repeating what they say. Ironically, that is, to mock them. And I had to go on ranting for three minutes to show how racist they are." 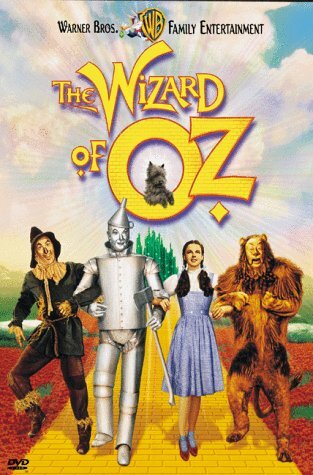 Who cares who won the Oscar 25 years ago? It's not relevant to anyone today. It's ancient history. May chose to build a routine around racist beliefs. He provides a fig leaf of an excuse, then spews a bunch of racist comments. And his cover is, "That's what someone said 25 years ago." As you said, his Twitter comments show how he really feels. His real beliefs aren't far from his "ironic" beliefs--if there's any difference at all. He sort of understands that something bad happened to Indians, but that was long ago and now they're to blame for their problems. As I said before, a single punchline is no excuse for what comes before that. He didn't even say he was imitating others who were upset at Dances with Wolves. Rather, he said he was upset about it. So again, how does this 25-year-old "grievance" justify a racist rant? A: It doesn't. 1) May says he's been doing his Dances with Wolves joke since 1992. This so-called joke sounds like a pretext to do a racist rant about Indians. If the subject of the 1992 (actually 1991) Oscars isn't outdated and irrelevant already, when does it become so? In 50 years? A hundred? Why shouldn't listeners assume what I just said: that May is inventing an excuse to vent his spleen against Indians? 2) Has May heard of hipster racism? It's defined as doing or saying something racist, then claiming it was ironic, satirical, or a joke. How is this any different from what May does? "Indians are drunk losers," he seems to be saying, then "Ha ha, just kidding." Well, why should we take the "just kidding" part more seriously than the "drunk losers" part? Racists have a long history of dressing up their beliefs as fiction or humor. Why shouldn't we assume May is telling us what he really believes in the guise of comedy? 3) If May's so-called jokes depend on his reaching the punchline, isn't that a comedic failure? The jokes are insulting, insulting, insulting until the punchline, which magically renders them not insulting? What if listeners feel the punchline doesn't work? Or they miss the punchline because they leave in anger? Isn't May's "thinking" here rather shallow and stupid? Isn't it like saying, "We had to destroy the village in order to save it"? Does he seriously claim he has to sling horrible vulgarities to show how others sling horrible vulgarities? Is he such a pitiful comedian that he can't think of another way to make his point? 4) May's tweets indicate he's still blaming Indians for the poverty and alcoholism they suffer. Which is just about what he said in his racist rant. Why should we believe there's a difference between his "jokes" and his beliefs when they're so similar? Comedian Ralphie May Creates Twitter Firestorm After Rant on IndiansThe extracted audio clip of May’s comedy routine is from a CD entitled "Stealing the Sun Back." from the hip hop group Savage Family. In the video/audio clip, posted on YouTube, May goes into a rant about Indians. “F--k a bunch of Indians. I am sick of hearing about it. Are we supposed to boo hoo over goddamn Indians that sh-t that was 120 years ago? F--kin’ get over it. Nobody 150 years ago was making you drink now. Dry up’ you buncha alcoholics and go get a real f--kin’ job.”And:May further explained on Twitter that the comedic rant was extracted out of context and that the rant was based on the fact he was angry that Dances with Wolves beat Goodfellas for the best picture Oscar in 1992. YouTube rant against Indians is cited as the cause. By Anne Bonds[T]he significance of recent events in Oregon extends beyond this obvious example of the differential treatment of racial groups by the state. We argue the events at the Oregon wildlife refuge are representative of what Arlo Kempf describes as a “colonial moment,” one that bolsters white supremacy and violence against people of color, as well as the ongoing dispossession of Indigenous peoples in the U.S. settler state. For some, the Bundys–both Ammon and his father Cliven–have become folk heroes for their efforts to reclaim federally owned and regulated land and for resisting the overbearing, ‘tyrannical’ federal government. However, as the chairperson of the Burns Paiute Tribe, Charlotte Rodrique, has explicitly stated, the Paiute peoples had been living on these lands for thousands of years prior to the arrival of white settlers. Deep ironies abound as the militia members demand that the federal government return the land to ranchers, loggers, and miners after claiming the federal government had usurped their rights. Though it’s quite easy to dismiss the Bundys, their followers, and other white militias in the American West as a “radical fringe” group with a poor understanding of U.S. history, we believe that to do so would be ill informed. Not only is the Oregon standoff part of a much broader political, economic, and social movement rooted in individual private property rights and undergirded by white supremacy, the event–and popular reactions to it–sustain particular understandings of whiteness and land ownership that render invisible the displacement and exploitation of people of color that enabled white settlement and the acquisition of federal lands in this area in the first place.Comment: For more on the Bundy bunch, see Malheur Occupation Shows Toxic Masculinity and Bundys Hold Paiute Artifacts Hostage. The combination of an illustration and a headline in our April issue caused justifiable offense. By Zach DundasRecently, Portland Monthly published a short essay on the subject of school choice, accompanied by an illustration that adapted the standard school-crossing sign to show its stick-figure humans armed with arrow-like weapons. The headline—written by editors, not the freelance writer who contributed the body of the article—used the phrase “hostile tribes” to describe the social tensions arising from the issues discussed in the piece that followed. Since the illustration and the article title appeared in our April issue and on our website, we have heard from numerous readers and Native American community leaders that this combination of words and images is offensive and derogatory, evoking negative stereotypes of Native Americans. We erred in publishing this image and title, particularly in combination. We did not intend to offend any person or community, but in this case intention is beside the point. We have heard clearly that we caused pain, anger, and confusion among readers and communities we care about, and we are sorry. As a first step, the image has been removed from the online version of the article, and the online headline has been changed. We’ll address the situation in print at the first opportunity afforded by our publication schedule, which will be our June issue.